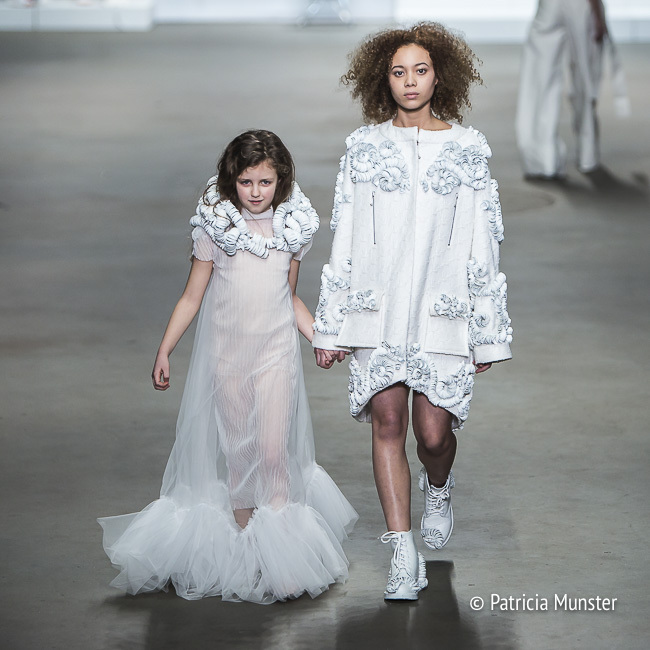 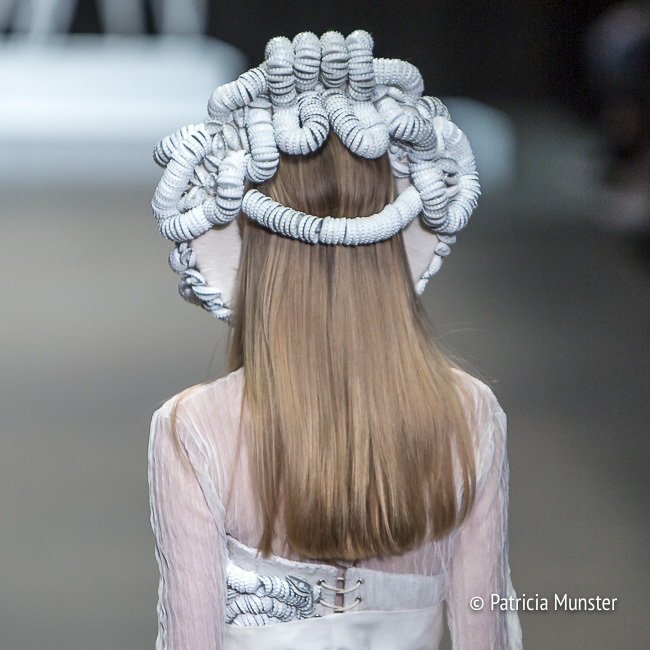 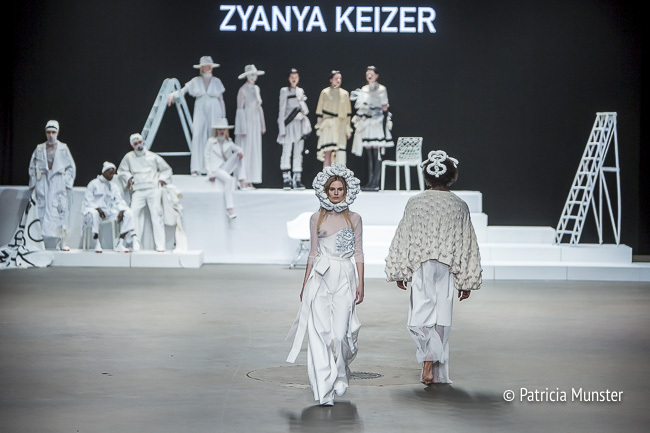 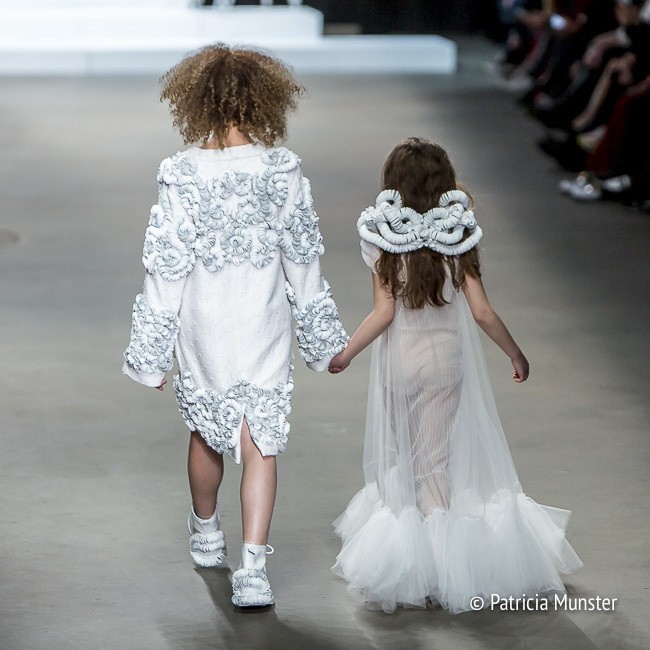 Zyanya Keizer was invited to take part at The Painting by the Future Generation during the first day of Amsterdam Fashion Week. 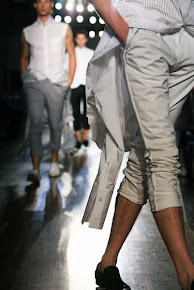 A concept for new designers, for us to watch and to follow. 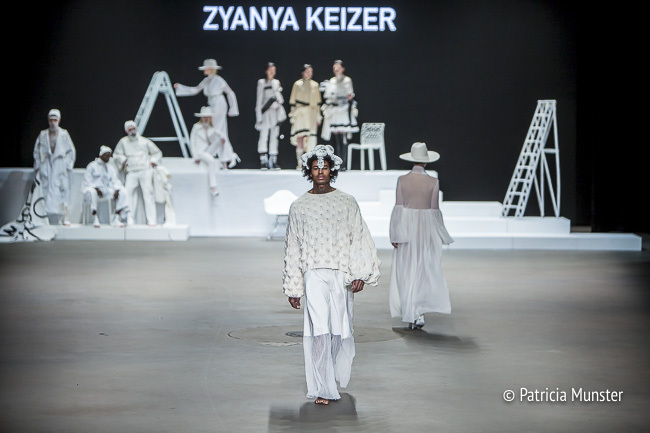 Zyanya showed for men, women and children! 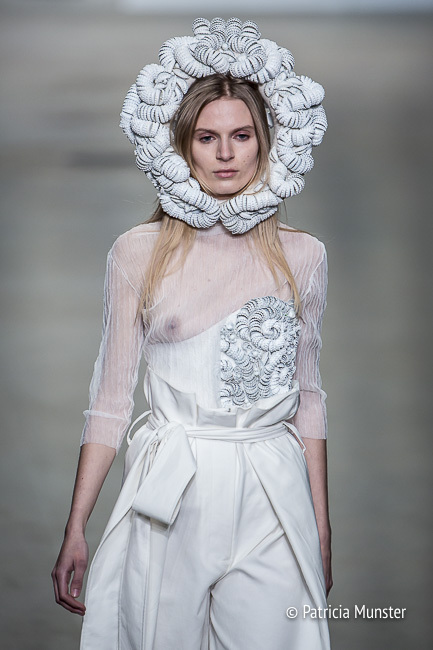 Only three designs in white, always trying to combine fashion with art. 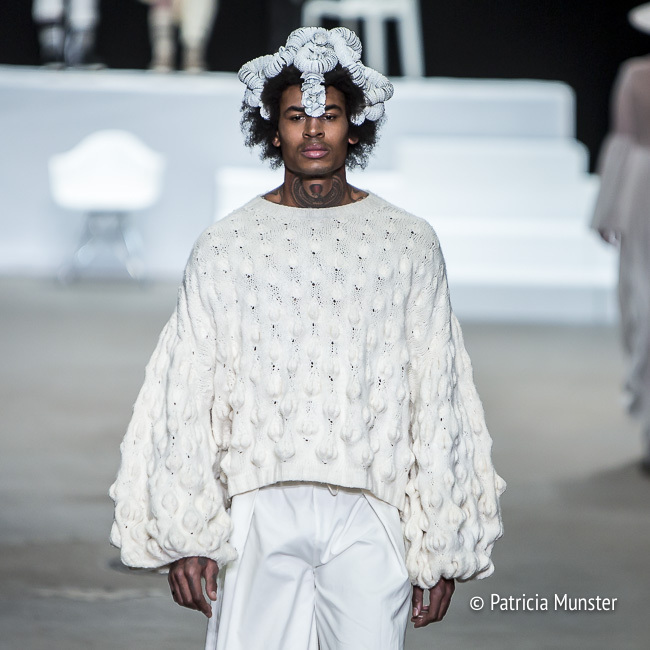 The knitwear was created in collaboration with Louise Bijvoet of Breikunst.